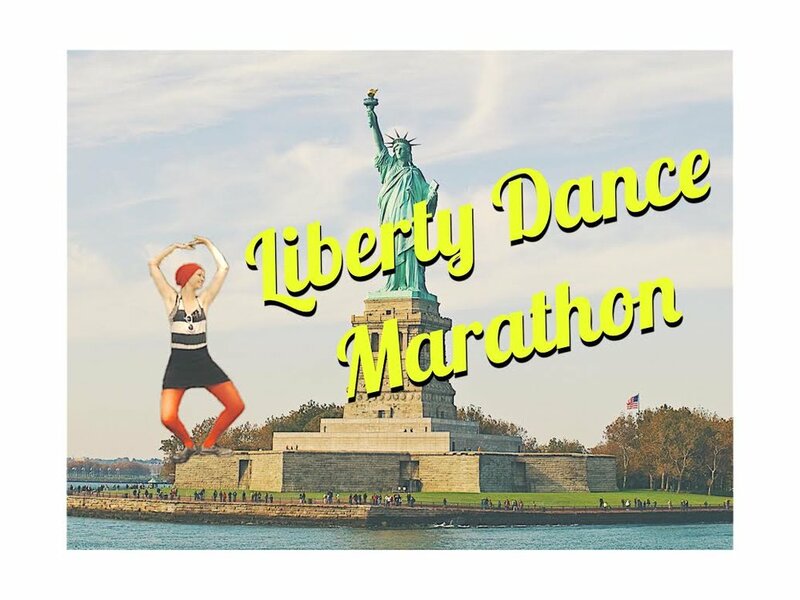 On September 28th, 2017, for 9.5 hours, I danced a dance of freedom while circling the Statue of Liberty to raise funds for my good friend in need, a refugee from Syria who has been cast out by the world and needs some help. I hoped if I circled around Lady Liberty enough times, the magic of her generous spirit would create a vortex to protect my friend's family. Plus, your donations will help... a lot. are in a position where you can give, please do. Feel free to join me on Liberty Island! I live streamed on Facebook so you could watch the hours of dancing delirium ensue. Please give generously and often so my friend can start his life over on the right foot! While I was volunteering at a refugee camp in Northern Greece, I met an incredible man from Syria who took my English classes. He was one of the first people to initiate a school and taught the children math and Arabic to the volunteers. In the dire, exhausting conditions of the camp, an old military base where everyone slept on sharp rocks, he was an inspiration. We have managed to keep in touch since then and I have followed his journey. He recently reached out for help for the first time since I have known him. I wanted to share his story with you. I am keeping his name and the names of his family members anonymous for their protection. "I was a journalist in Syria, I wrote news in sicret on online newspaper for six months during the war to tell the people the truth about Syria. One day Assad regime discovered my job and put me in very hard prison under the group. My family didn't know anything about me fo about 3 months. They needed to borrow money to pay the security forces to know where I am, they needed to pay about 1000 just to know some information about me. Then when they knew that I was still alive, the Assad security forces asked for 3000$ to free me. My family didn't have any money and they needed to borrow money from anyone to help me, they borrowed money and told the people that they will give back the money fast. My situation in prison was very difficult, they hit and tortured me a lot, I was sikc and hungry all the time, it was very dirty and cold and I couldn't find a play to lie down because they put to many prisoners in a small place, I have two cousins died in prison because of this situation. After one year of this prison my family should collect 3000$ to free me, and they told the people that they would give the money back fast when I leave the prison. Whe I left the prison people from the Assad regime threatened me that I should leave Syria or they will arrest me another time because they know that I worked with online newspaper against the government. So I needed to borrow 2000$ to go from Syria to Greece smuggling. Now the people who lent me and my family the money ask for it strongly, they have relatives work with Assad regime and they threatened us that they will hurt my parents and my brother in Syria if we don't give back the money. They want 6000$ or they will put my parents and my brother in Syria in prison. I am very worried and afraid Please help me to give back the money, I don't want to lose my family. I was in prison for the truth, for your and everybody, I wanted to tell all the world what happens in Syria. Now I need your help to save my family lives, to rescue us. Please help me to give back the money."